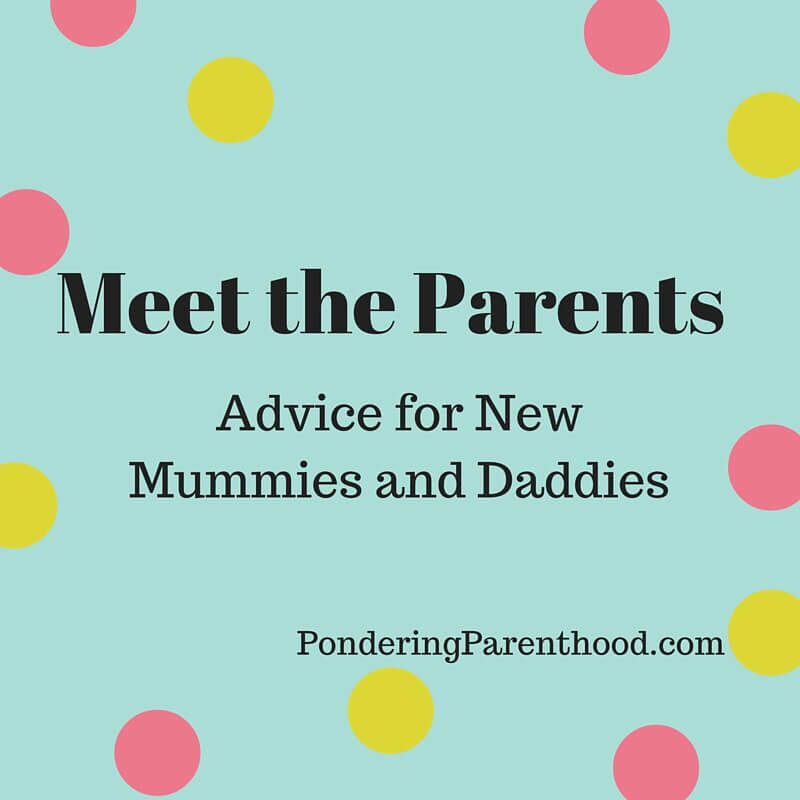 This week on Meet the Parents we hear from Jenni who blogs at Chilling with Lucas. We live in Lancashire, D and I have been together 6 years. Lucas is 18 months old. D is a business development manager within the health and safety training industry and I manage the social media and marketing for a keepsake company that specialises in personalised and hand print jewellery. My favourite comfy t shirt. Not during labour but after labour I had pins and needles in my head and my face felt numb. I was like that for the full night after giving birth, the nurses had no idea why. Also, in the middle of the night Lucas vomited what looked like blood, I hadn’t been warned this could happen and was obvious extremely worried. The nursing assistants hadn’t seen it before but one of the midwives said it was normal after a water birth. I would say for us it was the Fisher Price newborn to toddler rocker, other than in our arms, it was the only place Lucas would sleep. My midwife telling me not to worry about breastfeeding and get some formula in, I wanted support not to be told to give up in the first couple of days. If you do want support, contact your local breastfeeding support network, they are volunteers and genuinely want to help you. I don’t think I would have continued if I hadn’t contacted them. 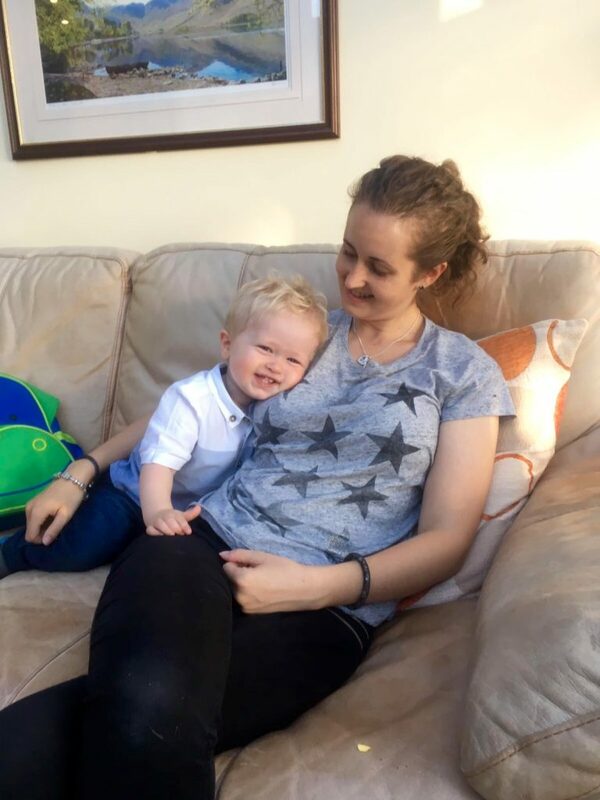 In retrospect I wish now that I had sought more support but at the time I felt like I had too many different midwives in my house trying to tell me what to do; the last thing I wanted was yet another person telling me I should be breastfeeding in a way that felt wrong. Don’t be swayed by what other people are telling you, stick to what you want to do. With the exception of parents and grandparents, we didn’t have any visitors for the first week as I wanted proper time for us 3 to settle in together without people coming in and out of the house. We didn’t even let our parents in for the first week (they did get to meet Little M when we were in hospital though)! The exhaustion, feeling like I was constantly awake settling, feeding or changing. I fed on demand and Lucas was pretty much attached to me for the first few months. Seeing the amazing creation that you and your partner have made. Watching him grow, discover and develop his personality. Thank you, Jenni. You can find Jenni over on her blog, Twitter, Instagram and Facebook. "Stopping Exclusively Expressing in Three Steps"
Sad and disappointing in regards to your postnatal experience at home. Though hopefully the Midwifery profession, Management, Royal College of Midwives etc get such feedback. As how else can positive change happen, especially when ” Midwife is with Woman”. As when you are alone that is when you are likely to need support, and accept appropriate support at such an intimate life changing time. Surely the Midwife should have been encouraging and supporting Breastfeeding. Maybe that Midwife needs to be taken aside by Mentor and offered assistance, support, education etc in order to Develop Professionally in order to meet the needs of the clients in regards to Breastfeeding. Also seems that maybe organisation could be improved in regards Community Midwifery. As continuity of Carer can be a method used which can reduce conflicting information being given. Effective Communication being a beneficial aspect when it comes to Midwifery Care etc. There may have been reasons why it was difficult for your local service to provide or focus on Continuity of Carer, maybe they needed to concentrate and work on Continuity of Care also. Seems that in reality Midwifery service ( which is Publicly funded) can be improved. Maybe the Public deserve an improved service. That may need Public, Professionals, Management, Organisations such as Royal College of midwives etc Communicating Effectively and having a common goal and a means of review etc.